Joyce Glasser reviews Polina (Polina, danser sa vie) (December 14, 2018), Cert. 12A, 108 min. 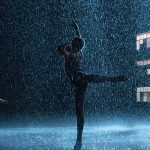 Based on Bastien Vivès’ graphic novel , writer/director team Valérie Müller and renowned choreographer Angelin Preljocaj’s Polina is the story of a Russian ballerina that would not have been credible 28 years ago. Polina (played by Mariiinsky Theatre dancer Anastasia Shevtsova), a classically trained ballerina is set to enter the prestigious Bolshoi ballet, but abruptly leaves for the South of France where she hopes to become a modern dance choreographer. The directors are not apologetic about the slow pace of their heroine’s development or about the impulsive choices she makes in this unusual coming-of-age movie. If the film could benefit from a better script, film lovers will be riveted by all the graceful bodies and dancing. Polina (Veronika Zhovnytska) is eight when her parents devote their lives to their only child’s career. Polina is admitted to a fee-paying ballet school where she is far from being the model student. 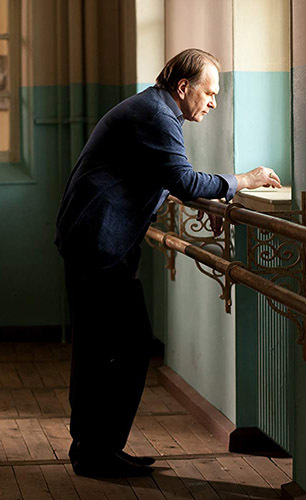 Her tough-love, old-style teacher Bojinski (Aleksey Guskov) tells her ‘you are not very limber’. On the way home from school, Polina skips through a snow covered wood, the only nature left in a landscape of factories and concrete high rise apartment buildings, similar to the landscape in Andrey Zvyagintsev’s Loveless. She suddenly begins to dance with abandon, enjoying herself to a strong non-classical beat. This burst of self-expression is not so much that ‘lack of self-control’ that Bojinski has criticised, as a scene deliberately foreshadowing Polina’s rejection of the controlled classical model. Throughout the first half of the film we are reminded of her family’s sacrifice. Polina’s father, Anton, (Miglen Mirtchev) is involved in illicit activity for the mafia, who break into his apartment during a family dinner and threaten his wife and daughter. Another day Polina returns home to find the apartment turned upside down. We hear something about Anton being forced to do a run into Afghanistan which he considers ‘no big deal’ to reassure his family. Curiously, this precarious home life does not seem to affect Polina and, after being rebuked by Bojinski for a lack of commitment, she apparently stops skipping class to help her mother with her work. Over the years, Polina gains Bojinski’s respect by working hard after class. She finds out that his creative work was criticised by the Communist Party for not being patriotic and for being too political. This is a key moment, as Polina might already be considering censorship of her own original choreography, even with the collapse of the Soviet Union. There is from this point a kind of bond between the two. It is less Bojinski’s political troubles than a pas de deux that impresses her at a dance festival, however, that is the turning point. We see Polina with tears in her eyes as she watches a modern piece with two dancers who are clearly not anorexic. Unfortunately, what the viewer sees is more limiting, as the routine is shot in tight close-ups of the female’s thighs and little else. The script is a bit corny, but Polina presents an interesting situation. Those who have graduated with degrees in literature, history or mathematics can switch careers with relative ease when they are 22, as their skills are transferable and widely applicable. But as Polina discovers as she accompanies her dreamy French boyfriend Adrien (Niels Schneider) from the Bolshoi to Aix-en-Provence, it is not easy for a classically trained dancer to switch careers. Polina makes the cut in Aix and is told that she will dance Snow White with Adrien dancing the prince. During rehearsals, the choreographer (played by Juliette Binoche, herself a former dancer who worked with Akram Khan), criticises Polina. ‘Too pretty,’ she says, ‘it’s not real’. She tells Polina, ‘all my work expresses the absent and the missing’ and she wants that emotion, that sense of longing, from Polina. It is a criticism that could be levelled at the film, which lacks the emotion to see us through the down-and-out phases of Polina’s life, when we are not sure whether she is just wilfully stubborn and impatient or courageously uncompromising. Binoche’s line should resonate, linked perhaps, if not to the absence of her country and family, then to her longing to be a choreographer. The line – from Plato’s Symposium – maintains that love exists because each of us is divided and is searching for the missing half. This line is the material of metaphor and the film could use some. Fairy tale ending aside, the final dance that incorporates imagery from Polina’s childhood is a highlight, and you only wish that more of this kind of imaginary blending of past and present went into showing us the process of creation. In any dance film the decision is whether to find an actor who can dance or a dancer who can act. It is always an exercise in compromise. Here everything from the dancer’s physical appearance to the way they walk, stand and, of course, dance is so important that there was little choice. If Anastasia Shevtsova is not a great actress, she is charismatic enough, while Adrien is an actor who dances like a professional. Belingard entered the Paris Opera Ballet company in 1987 meaning that he danced under the company’s director, Rudolf Nureyev. Just what his character, Karl, is doing single and looking for a female roommate half his age is not clear, but characterisation is not as important to the filmmakers as it might be to certain viewers.